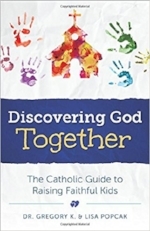 Inspring & concrete ideas of how to live your faith as a family together inside the home. Presents research based facts what keeps kids staying in the faith. Love anything by Sally Clarkson, (especially recommend the Live Giving Home). 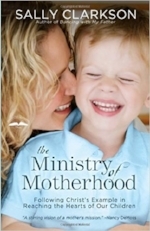 Inspires to look at motherhood through a new lens. One of my absolute favorites. So helpful in understanding what makes them tick & how to best individually connect with them. Fascinating look how children learn! & ideas how to motivate them as life long learners. Because a happy mother is a great parent ;) Highly recommend all books by Meg Meeker, especially Strong Mothers, Strong Sons. Another great Popcak parenting read. Chapters divided into age ranges so one you can continue coming back to as kids grow. Extremely helpful in finding the best ways to fill your child's love tank! Especially with those you have personality clashes. I have applied a ton of their ideas in my home. Breaks down the research of over stimulation in kids, like toy overload, and what you can do about it. 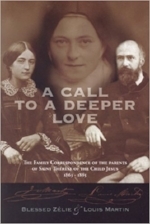 These letters offer a raw inside look into St. Zelie's marriage & motherhood, which created one of the greatest saints of our time, St. Therese of Lisieux! 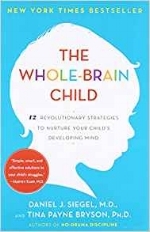 Great insight into the science & working of a child's brain. Full of great parenting tips! Which ones did I miss? What are your favorite parenting books? Prayers for a Blessed Easter Season!